Beautiful new window installations allow you to enjoy your day to day life. From upgrading your window frames to repairing broken glass, nearly any type of window care and repair will improve the situation. Modernize is here for you if window replacement is in your future and you are wanting to find replacement windows in San Jose, CA. We're here to help you through all of your home improvement projects. We love helping homeowners compare the most trusted local contractors in their area. Let us help you compare estimates from local contractors to get the best window prices today! As a homeowner in San Jose, California, there are numerous reasons why you should consider buying new or replacement windows. You may be remodeling, adding on to your home, building a brand new family home, or replacing existing windows which are past their prime. Whatever purpose your new windows will be serving, it is important to consider how living in San Jose should guide the windows you choose. The City of San Jose has permit requirements and building codes regulating the installation of new windows. Additionally, San Jose has a unique climate which should influence your purchase choice. For the lowest monthly utility bills, choose windows which are energy efficient and appropriate for the warm client in San Jose. Before buying windows for your home, there are a few basic things you should take into consideration. You will want an understanding of windows, including the different operational styles and designs available in order to make a smart decision. The first choice you will need to make is whether you will be buying new construction or replacement windows. New construction windows are secured directly to the studs of your home at the time of installation. Because of this, they can only be used in remodeling or building situations where the frames and studs will be exposed. In comparison, replacement windows are specially designed to fit where the previous window was installed with a minimal effect on the surrounding wall area. Next, you will need to decide how you wish for the window to operate in your home. One of the most popular windows is a double-hung window, which has two sashes placed vertically and which can be opened upwards or downwards to provide ventilation to a room. There are also single sash windows which open outwards called casement, hopper, or awning windows. Bay and bow windows provide a unique architectural look, constructed from multiple windows which extend outwards. In addition to the operational design of a window, there are many aesthetic decisions to take into consideration. Windows are available in a wide variety of colors, designs, and materials, so you should be able to find a model which fits perfectly with the style of your home. After your personal preference are taken into consideration and you have chosen the appropriate window for your home, you will need determine if a building permit is needed to legally install your windows. In San Jose, you are only required to obtain a permit if you will be altering the frame of the window or the flashing of the window, altering the exterior wall surrounding the window, or if the window is part of a larger project which requires a building permit. A building permit can be obtained from the Planning Department, which can be reached at 408-535-3555. After you have the proper permit, you can hire a contractor or install the windows yourself. There are a few things to consider before installing your new windows. In San Jose, you are required to hold workers’ compensation insurance if you will be hiring an individual who is not a contractor to work on your home. If you hire a contractor, your contractor is the one who must carry workers’ compensation insurance. Workers’ compensation insurance protects employers from financial consequences if their employee is injured while working on a home. In addition to insurance, any contractor you hire will need to have a general building license which was issued to them by the City of San Jose. At this time, San Jose does not offer any financial assistance to homeowners or apartment dwellers who wish to make their home more energy efficient by buying new windows. However, you can use conventional methods to cover the cost of new windows. Saving up to pay cash is the best way to pay for new windows, but when this is not possible a home equity line of credit or a zero interest credit card can be used to pay for the cost of the windows. Before making a window purchase, you will want to understand how the climate in San Jose should play a role in choosing the right windows for your home. 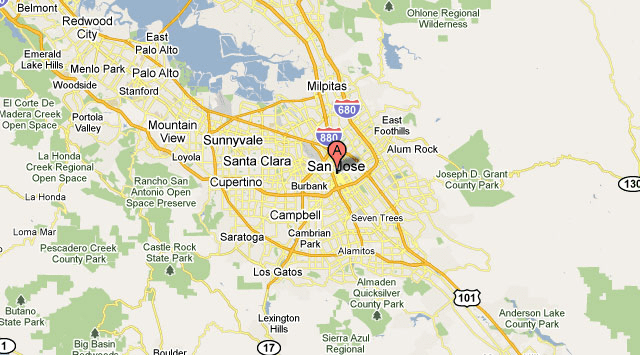 According to ENERGY STAR®, San Jose is located in the south-central zone. This particular region requires both heating and cooling, depending on the season. During the winter, the temperature is cold but mild and in the summer the temperatures can be very warm. Because of this, the windows chosen must be energy efficient to avoid spending unnecessary money on heating and cooling costs. The simplest way to determine how a window will perform within the climate of San Jose is to inspect the National Fenestration Rating Council (NFRC) label. There are a few different numbers on this label, but in a climate like San Jose’s, the most important numbers to consider are the U-Factor and Solar Heat Gain Coefficient ratings. The U-Factor rating is a number which indicates how much heat is lost or gained through a window. The higher the number, the less resistant a window is to heat loss or gain. This means, during seasons of extreme temperatures your heating and cooling system will need to work harder to keep your home comfortable, and this will increase your monthly utility bills. Because of this, it is suggested you choose a window with a U-Factor of no more than 0.30, which indicates a lower loss or gain of heat through the window. Another number to consider is the Solar Heat Gain Coefficient which quantifies the amount of solar radiation which passes through the window. During the winter, this is beneficial because solar heat warms your home for free. However, during the summer months solar heat will overheat your home which places more responsibility on your heating and cooling system to keep your home cool. Because San Jose has a very warm climate, all windows purchased should have a SHGC rating of 0.30 or less. Because the humidity in San Jose is typically lower than average, there is not a lot of concern about excess moisture being caught within your window, causing damage with mildew or mold. Because of this, the Condensation Resistance rating (CR), does not need to be very high on windows bought for the climate in San Jose. When buying new windows, it is always worth the investment to buy the window with the higher energy efficiency ratings since ENERGY STAR® approved windows can save homeowners in San Jose as much as $126 each year in utility costs. In addition to saving you money, the purchase of energy efficient improvements for your home takes you one step closer to a more sustainable and environmentally friendly way of life.